One of my besties introduced me to the dirty diet coke this summer and I can’t stop drinking it. I even have the husband hooked! I thought if I am just hearing about it then maybe some of you haven’t heard about it either. If you love diet coke, you are going to love this concoction. It’s super simple to make. Fill your cup with crushed ice. I’m an ice snob and like pebble ice. Sonic sells it. But of course, you can use any ice you want. Take one or two lime wedges and squeeze over the ice. Don’t be skimpy…squeeze it all in. Pour your diet coke over your ice and lime juice. Now here comes the secret ingredient: coconut syrup or coconut creme. Add a splash or two and stir well. Using the coconut syrup is the original way to make this and it’s delicious. I actually prefer it this way. You can find it at World Market or Amazon. If you want to be crazy and mixed things up a bit, then try the the coconut creme. You can find it in any grocery store by the coffee creamers. The creme adds a more mild flavor of coconut and makes it a tad bit thicker. They are both yummy. So get your dirty on and tell me if you have tried this sweet nectar yet? 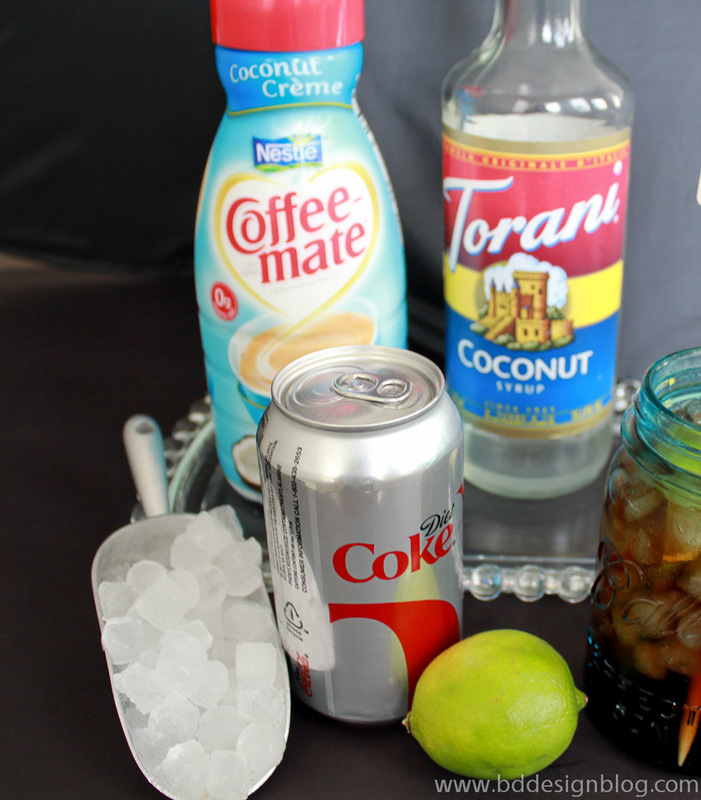 For an "adult" version, use Malibu Rum instead of coconut syrup. 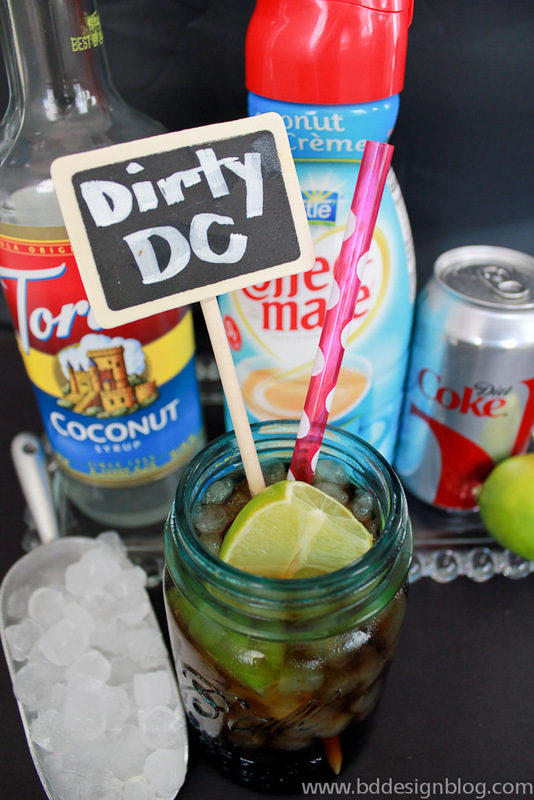 I've heard about dirty diet coke a ton this spring! I'm so glad you posted this! I really want to try it, but I'm breastfeeding and I've steered clear of caffeine so far. My kiddo is a crazy little nut already, he's always wiggling and squirming and does not sleep well at all at night.